The traditional way to measure the distance of your shot is by using yardage markers on the course. These are usually disks in the centre or edge of the fairway. But it’s also important to know how far each of your golf clubs goes and become comfortable with using different clubs with confidence throughout your game. This can take some practise and it goes without saying that the more you play, the better acquainted you’ll be with your equipment. GPS and rangefinders can help you to achieve better shot accuracy and an enhanced awareness of your technique and club performance. No two games of golf are the same. Even if you’ve been playing at your home club for years and feel well acquainted with your favourite course, weather conditions change and even the slightest wind alteration can affect the way a game is played. 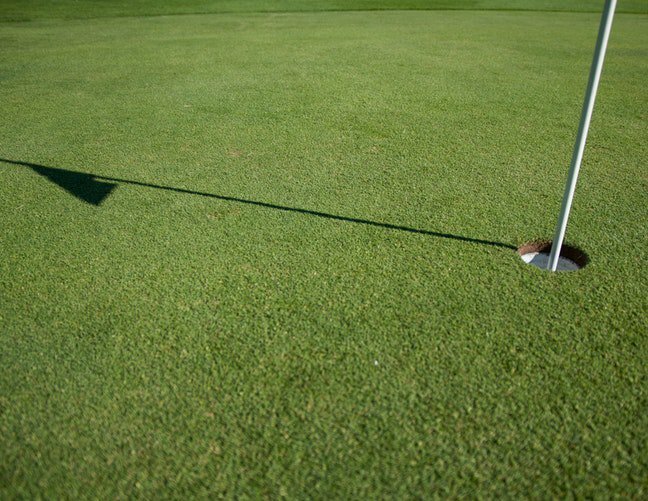 If you’re using your flexi points to explore new golf courses at neighbouring clubs, you’ll be tasked with new terrain to navigate, so it’s important you’re always aware of the environment, including weather patterns, slopes, hills and layout. For example. How you position yourself on an uphill shot will be different to the way you approach a downhill shot. Uphill shots promote a higher trajectory and shorter distance. So, if you are, let’s say, approximately 140 yards to the hole and would ordinarily use your 8-iron, you might be wiser to use a a 7 iron for the same shot if the ball is being hit from an uphill slope. Similarly, if you’re playing a game in stronger winds than normal, you’ll need to consider how the wind can help your shot rather than work against it while choking down on the club and widening your stance for better control. It can take hours of practice to get your swing just right, so don’t worry if you’ve not fully established this. You can work on perfecting the technique you possess, however, that will help improve your shot accuracy and that is easy enough to master with some practice. Erroneously, many golfers only lift their arms during the backswing of a shot. This technique will not give you the result you’re after. Instead, it will result in problems during impact. So, instead, it’s better turn your upper body whilst swinging your club to the top of the back swing. To do this, allow your hands and arms to swing away from the ball and then follow this closely with your shoulder and hips. In order to make a full turn, imagine your shoulders and arms making a triangle. Then try to maintain this triangle as much as you can during the backswing, through to impact and forward swing. Ensure you keep the face of the club square at impact. While swinging through it’s not uncommon to feel the need to bend your elbows, which is fine, but do so carefully as they must not pull apart, or else the shot can be spoiled. At PlayMoreGolf, we care deeply about making your golf membership enjoyable and accessible for all. That’s why one of the many benefits of joining PlayMoreGolf is access to a bustling online golf community where you can meet likeminded golfers and golf enthusiasts. Here you can share tips and insights to improve your game. As a member, you can also explore a range of golf clubs around the country, making use of new courses, competitions and golf lessons. To become a member, or learn more about the PlayMoreGolf membership, click here.